Rob maintains this website and is the "President for Life" of the Geriatric Figure Skating Crew. 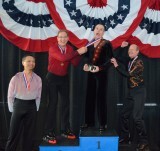 He also serves on the Board of Directors of the Georgia Figure Skating Club and is currently its President, Competition Chair, Sanction Chair and Web Editor. He has also been the Secretary, Treasurer and Membership Chair at different times. 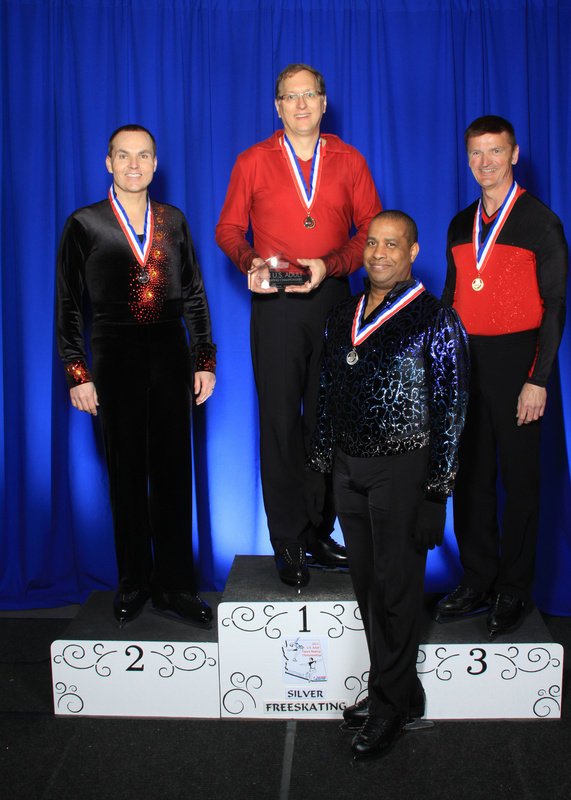 Rob has been skating since January 1997 when he started with an ISI Pre-Alpha group class. Currently, he is no longer working on his first Axel, but hasn't given up on a flying camel spin. His singles coach for 2017 was Elizabeth Wright-Johnson. His coach for the years of 2006-2014 was Davin Grindstaff. His coach for the years 1999-2006 was Helen Ross. His last singles program music was "Frankenstein" by the Edgar Winters Group. In the past it has been a mix of instrumental classics - "Pick up the Pieces", "Green Onions", and the "Theme from SWAT". Previously he has skated to "Classical Gas" by Mason Williams, "Jessica" by the Allman Brothers, music from the movie: Last of the Mohicans and a mix of the Dragnet and Peter Gunn TV themes. 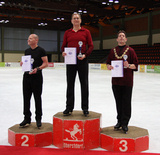 Rob first medalled in freestyle at Adult Nationals in 2009 with a bronze. 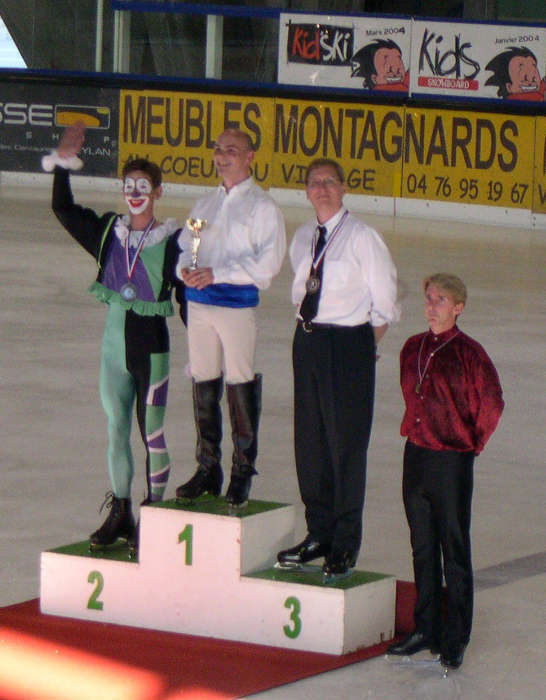 In 2010, he finally earned a Gold medal (after 12 years, lots of early mornings and several thousands of dollars). 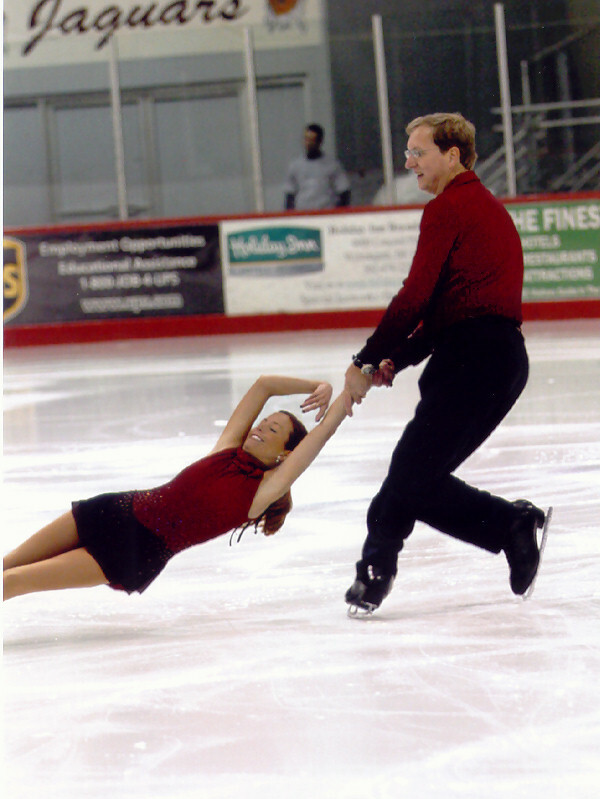 Rob is considered a "pairs wh*re/sl*t" in adult figure skating. That is a pairs guy that has or will skate with several different partners. 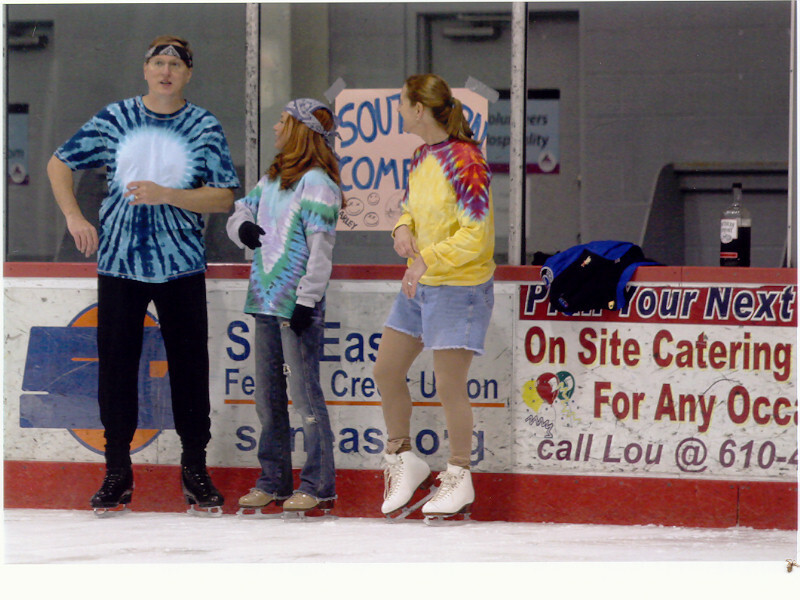 He started skating pairs with Sara Panzer, in October of 2004. They were doing pretty well (when they weren't banging into each other), but she came up pregnant! She had her baby (Josephine Becca) on Nov 2, 2005! He then started skating with Jenny Baker in June of 2005. They attended an Adult Pairs Clinic in July taught by Oleg Vassiliev, Tatiana Totmianina and Maxim Marinin (all world champion pairs skaters). Jenny and Rob even got their photo on the US Figure Skating website. 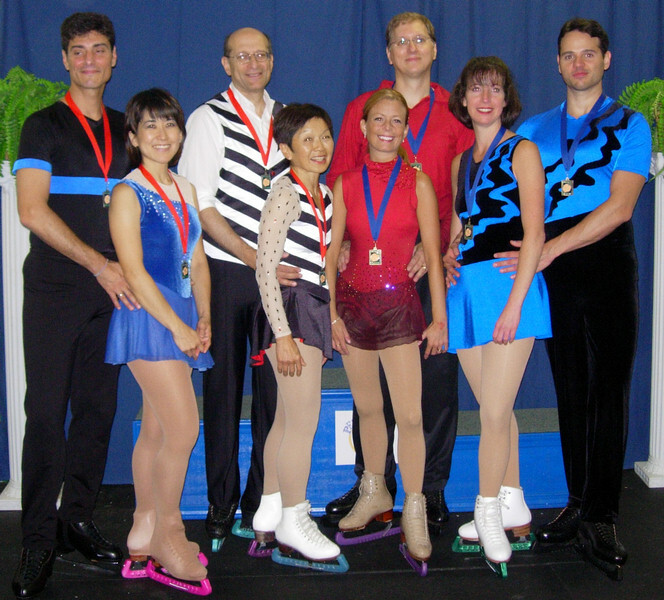 Jenny and Rob competed at the 2005 Peach Classic in the Silver Pairs event where they placed first. Their program music was Walk on the Wild Side by Jimmy Smith. 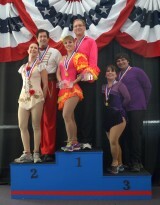 They also competed at the Halloween Classic in Aston, PA, where they placed second (of 2). At that time Jenny decided that she had to give up skating due to several personal reasons. 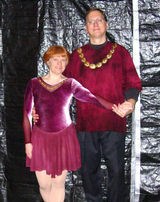 Rob was contacted by Phyllis Friello in December of 2005 to see if he would be interested in skating with her at the 2006 Adult Nationals. They had met at the Pairs Clinic and at the Halloween Classic. Rob traveled to Baltimore to skate with her in January to see how the partnership would work. And, they decided to give it a try. They flew to each other's city, about every other weekend to train until the event. 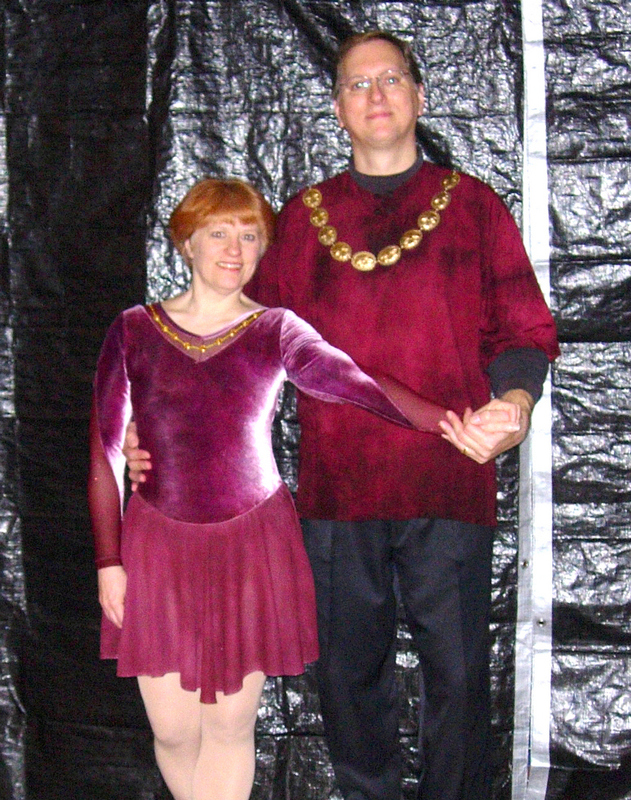 Her coach was Jeff Nolt, and he choreographed their program to music from the soundtrack of Henry V. They came in 7th of 9 at US Adult Nationals in Gold Pairs, and then competed at the 2006 Mountain Cup where they won the Gold Pairs event! Sara and Rob were back skating together starting in 2007 through 2017. Their coach was Tami Mickle. 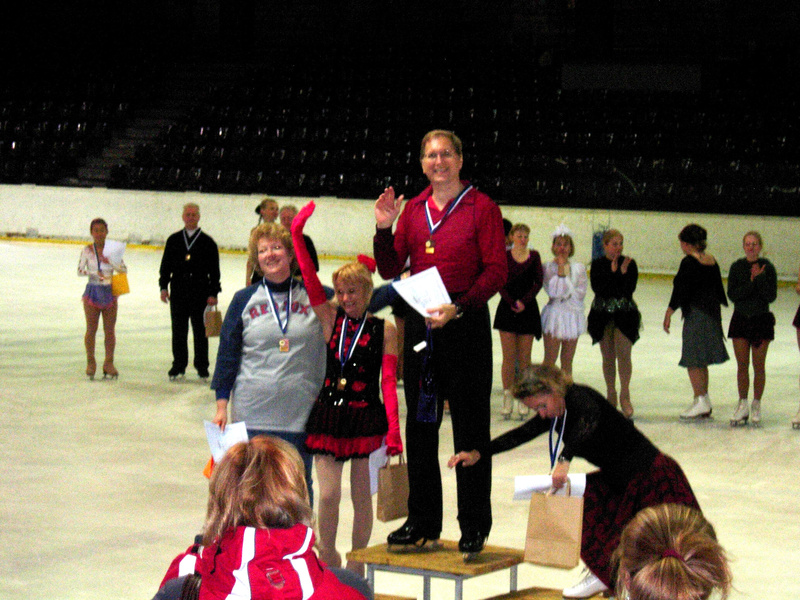 Their first competition was Silver Pairs at Adult Nationals in Lake Placid in April 2008. 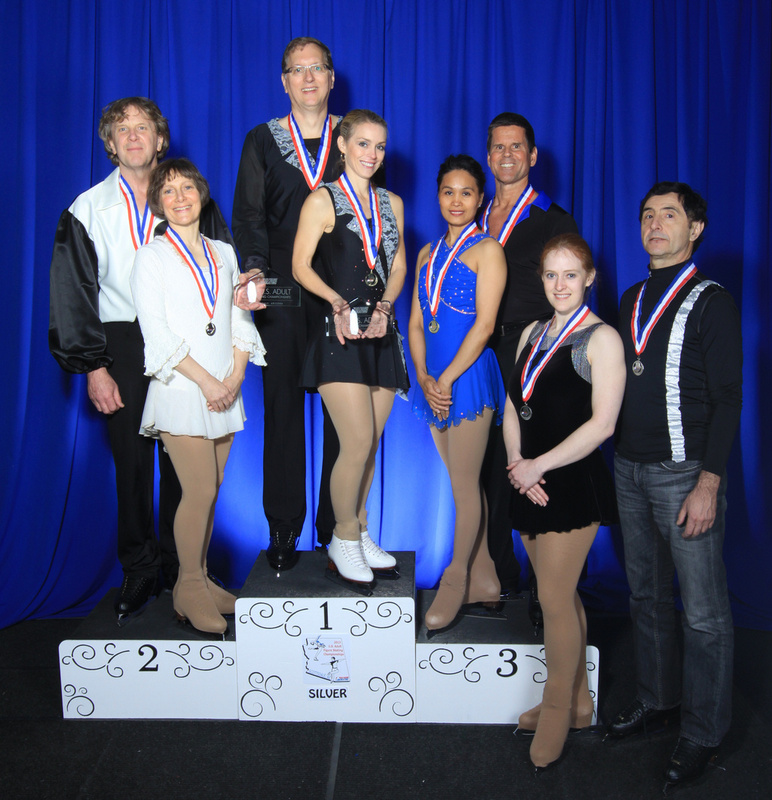 They won the Silver Pairs event at Adult Nationals for 4 years (2011-2014). They have skated to Previously they've skated to a mix of music from Copacabana, and a mix of "Toccata and Fugue in D minor" with "Time Warp" from the Rocky Horror Picture Show. Go Daddy Go (a few times), and the main theme from the movie Havana. Rob is now skating with Wendy Barnard - shooting for 2019 Adult Nationals They are currently skating to Go Daddy Go (again). Rob attended the 2005 Oleg Vasiliev Adult Pairs Clinic with Jenny Baker, the 2008, 2010, 2011 and 2012 clinics with Sara and the 2009 clinic with Donna Farver. 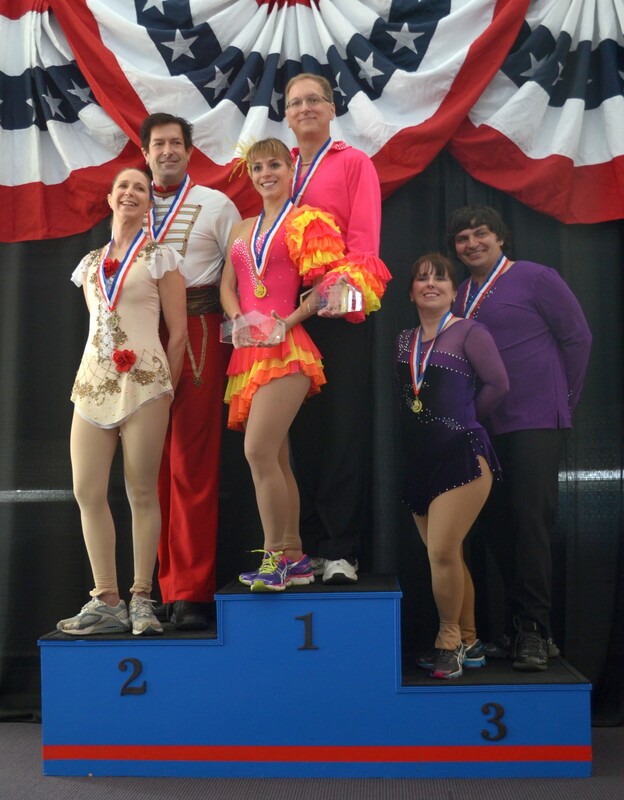 The Adult Pair Clinics were put on annually by Les Ascher in the Chicago area with Oleg as the primary instructor. He was usually assisted by his current elite pairs team. Rob started taking ice dance lessons as part of a weekly ice dance session at the Atlanta IceForum in January of 2018. Unfortunately, the rink cancelled the session in late August 2018. However, he has been convinced to keep it up on early mornings with Amy Kilheffer taking over the training. Rob has been either the chair or co-chair of the Peach Classic since 2003. 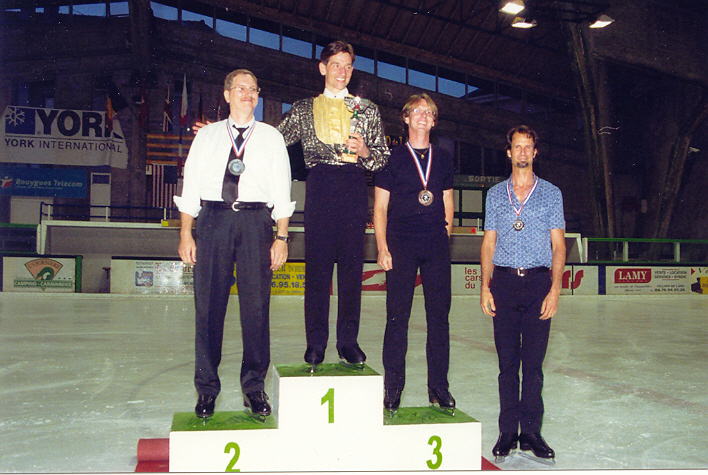 This is an all-adult skating competition held at his home rink in Duluth, GA. It is held on or near Labor Day weekend. 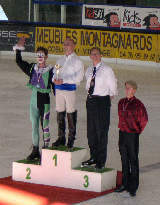 It is one of the oldest all-adult competitions, and at one time was the largest (other than US Adult Nationals). 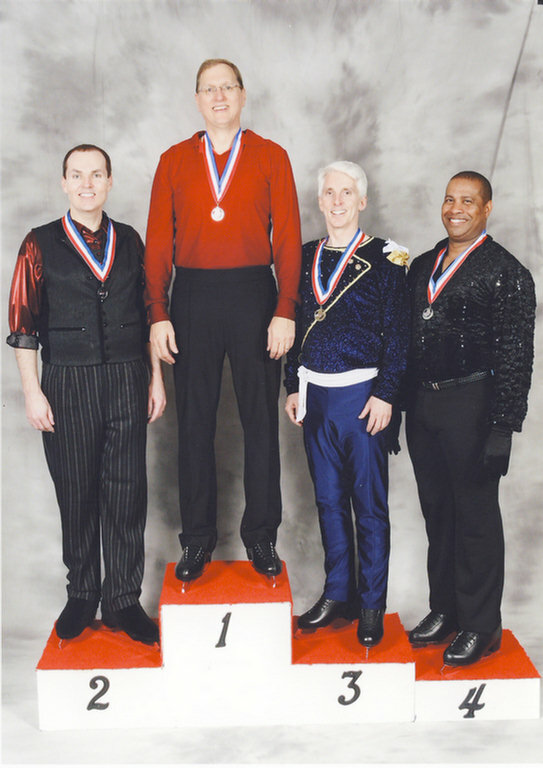 He has been serving on US Figure Skating's Adult Committee since 2009. 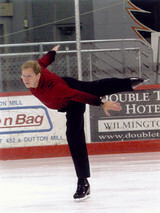 He also served as Venue Manager for the 2004 US Figure Skating Championships in Atlanta. His duties were to make sure all the rooms were setup and all the behind the scenes operations worked well. He also had security duty in the Skater Entrance/Kiss & Cry area of the competition. Because of this, he was also on TV, in the background, in the shots of the skater's entrance. You can see one photo of Rob and Michelle Kwan by clicking here. And, another photo of Rob and Melissa Gregory here. 2006 Olympics: Oh, the drama on ice! 6.0 Magazine. Click here to read the article. 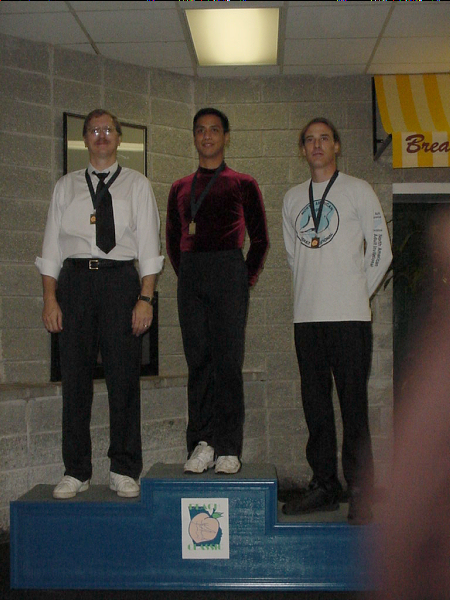 Rob passed the Adult Silver Freestyle Test on August 4, 2002. 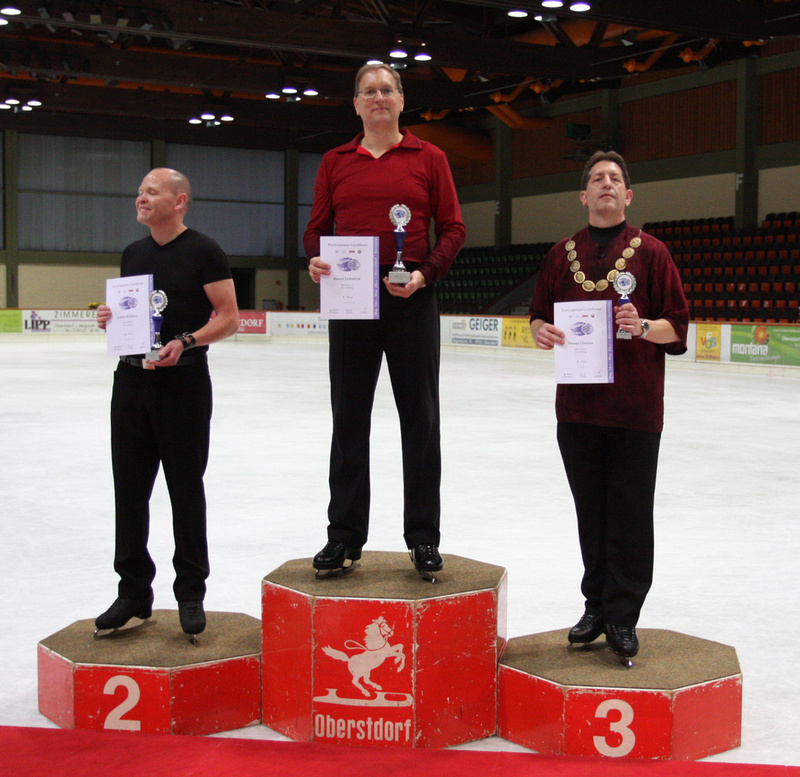 It was not due to his ability to skate on that particular day, but by the grace of some very patient and generous judging! 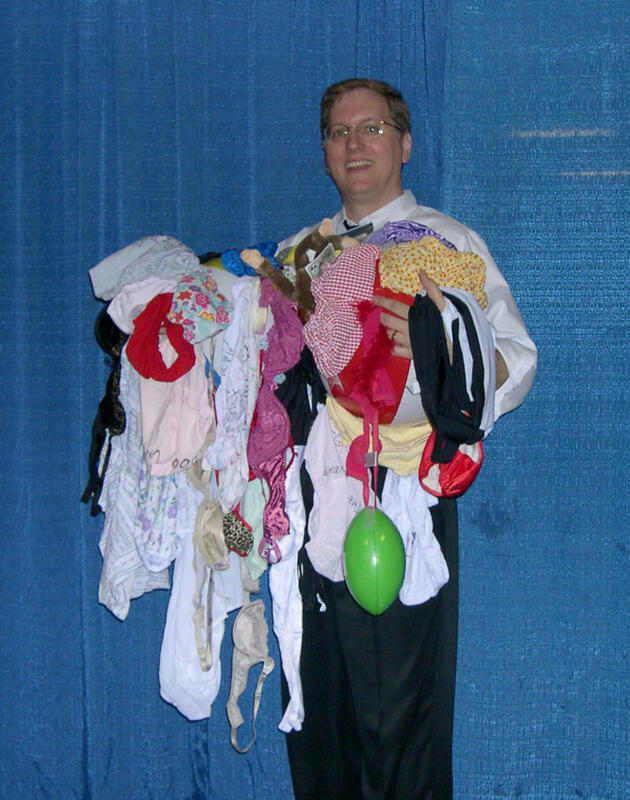 He also has other things on the web, you can check them out by clicking here.